Cheetah has found the perfect partner! She will be acting as a service dog for someone in need. I can't give details so as to respect this persons privacy. Just know she is going to be the perfect partner. She is here for a few weeks of training then off to what she was born & bred to do. This is Alenka and her war Veteran. 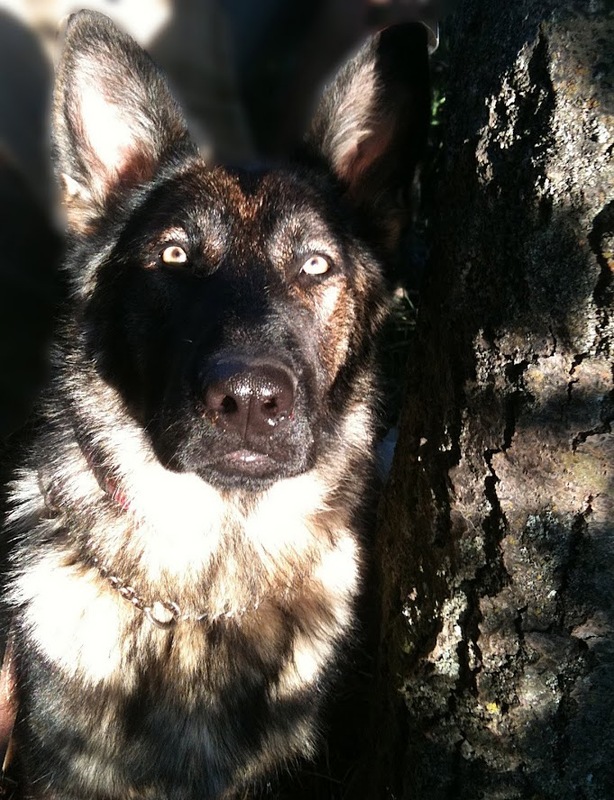 Alenka has almost completed her service dog training and will become official in the near future. One of her jobs is to wake him if he has nightmares. She looks quite comfortable with her job, doesn't she! 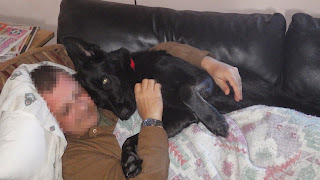 I'm very proud of Alenka for being a true K9 Partner for this Veteran. Wounded Warriors has been a great help to this pair and I would like to thank them for making this possible. I'll keep you updated on her progress. I'm so grateful for my dogs. The endless pleasure they give me is irreplaceable. Here's a favourite moment from today!